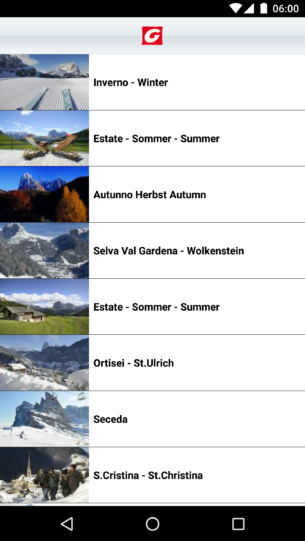 The official Android app for exploring Gröden and the Dolomites (UNESCO world natural heritage) and for planning perfect days in the landish valley. 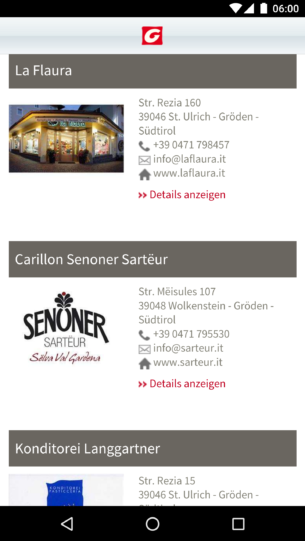 The interactive and mobile application, with a lot of fantastic pictures, allows GPS localization as well as finding important addresses, telephone numbers, email and web- addresses around Gröden. Webcams – a list of the different webcams in Gröden. 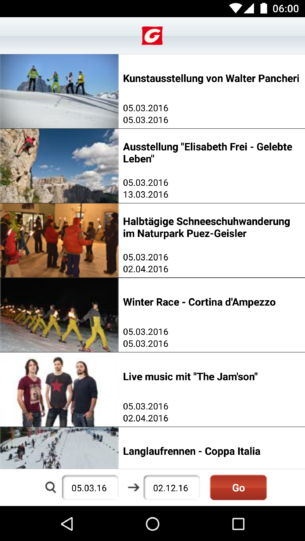 Event -event list and search function to find important events and highlights. 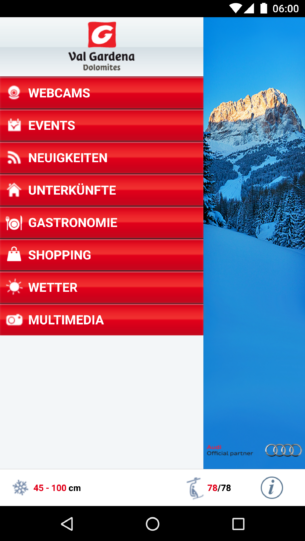 Accommodation – a real-time availability search with a filter of all the accommodation in Gröden. 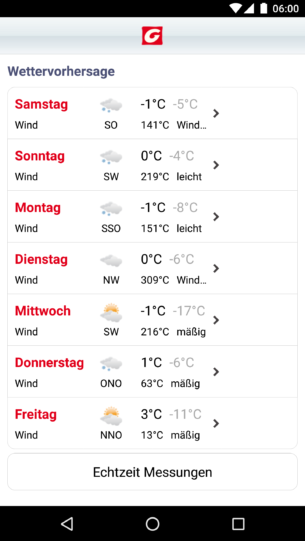 Weather – shows the ski lift status and the current snow conditions on the mountain and in the valley. 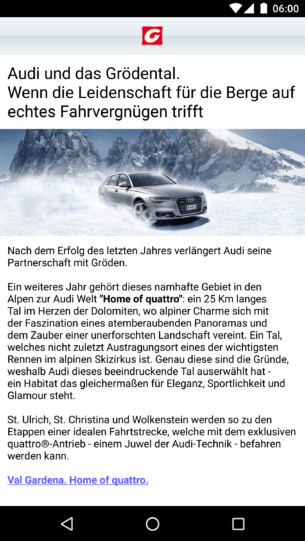 Information about the holiday region as well as the addresses of the various tourist offices.